The search is on to find a top chef worthy of being crowned Scotch Lamb PGI Surf ‘n’ Turf Chef of the Year 2018. 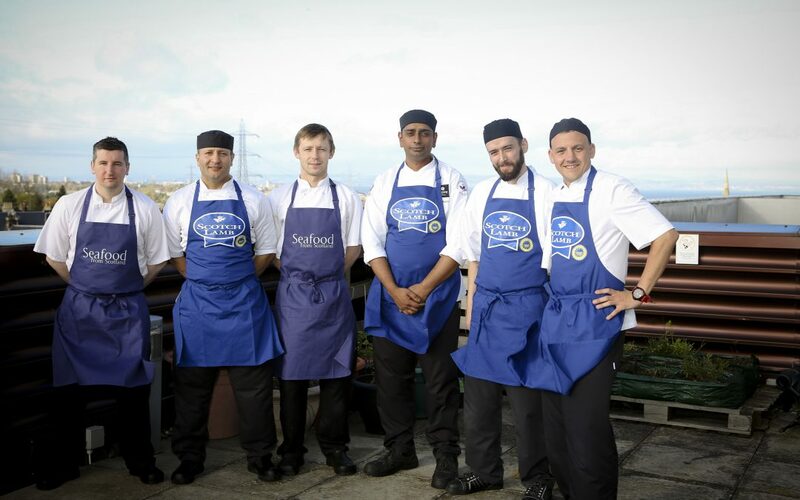 The annual competition, which is open to members of Quality Meat Scotland’s Scotch Beef Club and/or members of the Scottish Chefs Federation, aims to find the ultimate Surf ‘n’ Turf recipe which showcases the versatility of Scotch Lamb PGI and Seafood from Scotland. To enter the competition, chefs are invited to submit their best and most innovative Surf ‘n’ Turf recipes along with a two photographs of their dish. The six best entries will then be selected by a group of five experienced judges from the Scottish Chefs, Seafood Scotland and the National Sheep Association. The judges will be looking for top quality dishes which highlight the versatility of Scotch Lamb and Seafood from Scotland, as well as skill, innovation and exceptional taste. The winner will be announced at the Scottish Chefs Conference dinner on Monday 5th November, where the winning dish will be served. To make victory taste even sweeter, the winner will receive an overnight stay for two people at Scotch Beef Club member hotel, The Balmoral in Edinburgh, as well as a dinner for two at the Michelin-starred, fine-dining restaurant Number One. Ciara Etherson, PR and Marketing Executive at QMS, said: “We hope this competition will encourage chefs throughout Great Britain to explore Scotland’s exceptional larder, experiment with new recipe styles and consider Scotch Lamb as a tasty alternative for the traditional surf ‘n’ turf. “Competitors will have the chance to show off their creative flair with a surf ‘n’ turf recipe based on quality products such as Scotch Lamb PGI and Scottish Seafood. Natalie Bell, Trade Marketing Manager at Seafood Scotland said: “Seafood Scotland are delighted to again be working with Quality Meat Scotland. The closing date for entries is 22 October 2018 and the preliminary judging round will take place on Tuesday 30th October. To enter the Scotch Lamb PGI Surf ‘n’ Turf Chef of the Year competition, please send a recipe and related images to cetherson@qmscotland.co.uk.